2. Remove from heat and allow to cool completely. 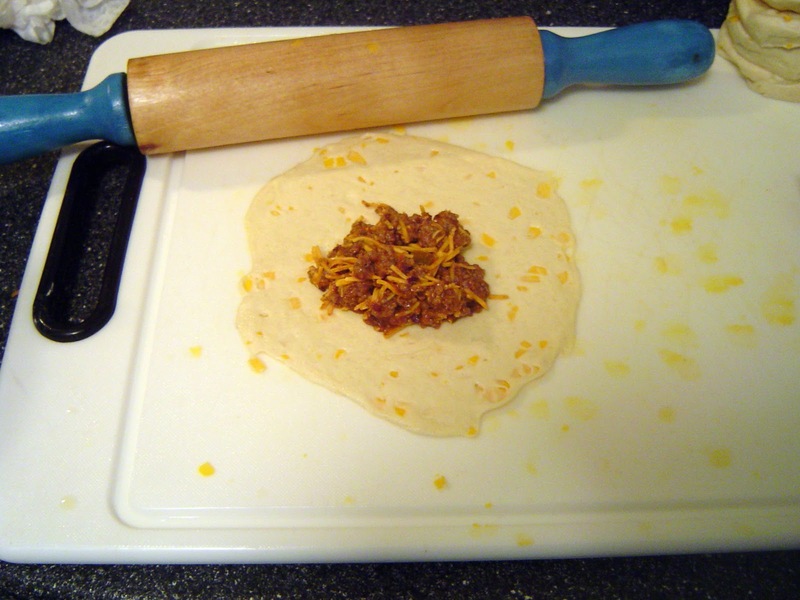 Once mixture is cold, add cheese and bean dip and stir to combine. 3. I found it easiest to work with the biscuits while they were still cold so I only took out a few at a time. 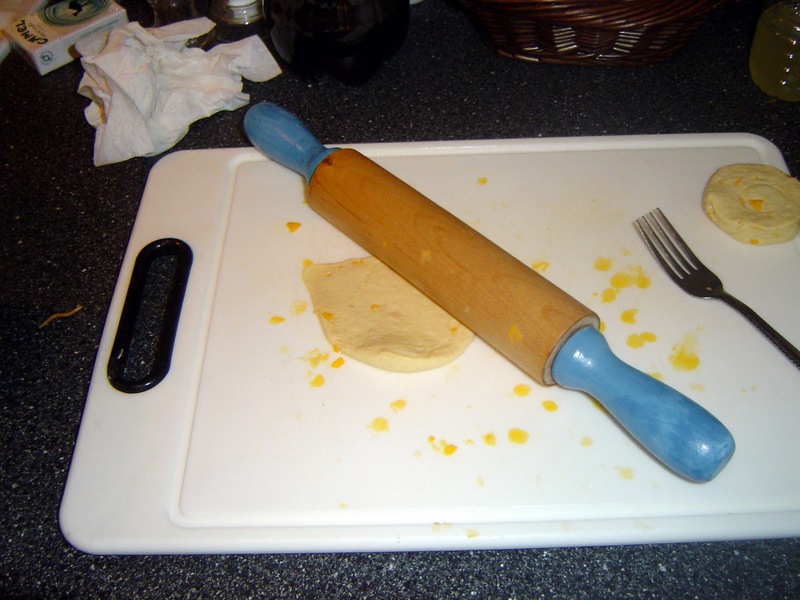 Spray your rolling pin and cutting board with a little Pam. 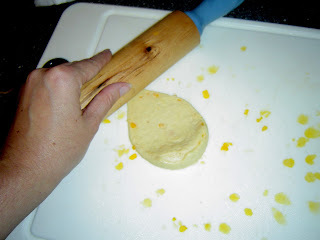 Roll out each biscuit until dough is thin and approx 4” in diameter. To keep the circle shape, roll in a different direction each time. 4. 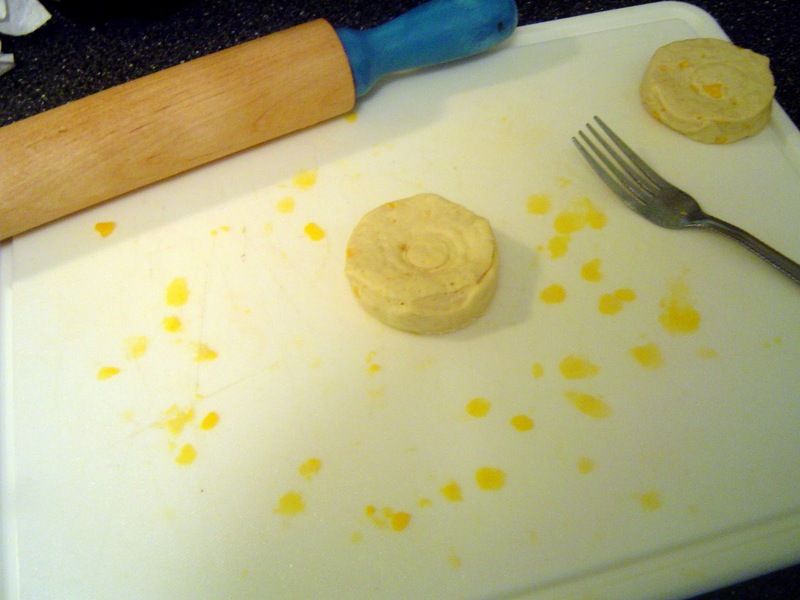 Once your biscuit is flat, place a little over a tablespoon of meat mixture in the center. 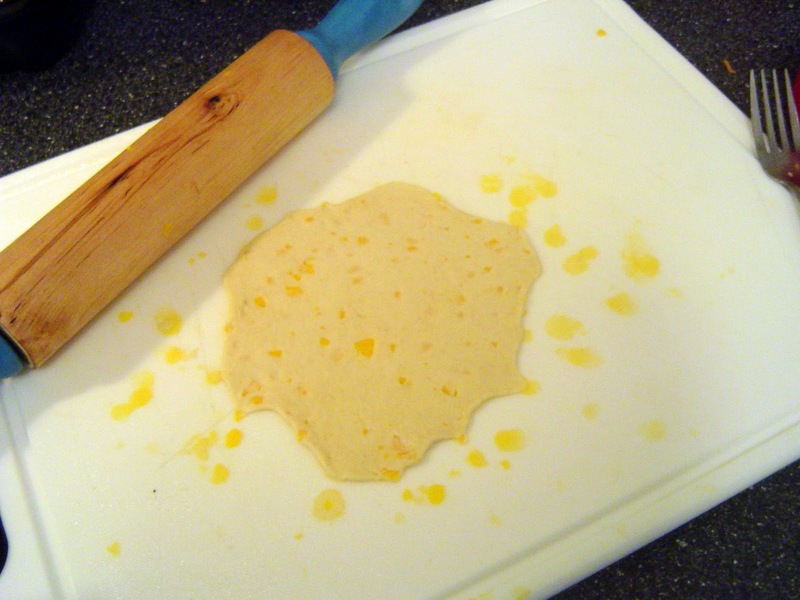 Fold dough over and shape into a half moon. You should have almost a half inch border. 5. Be sure to seal the edges completely by pressing tightly and crimping together. Finally press edges with a fork. You will lose the fork marks after cooking, but I found it helped seal them. 6. Bake at 400 degrees for 7-9 minutes or until tops start to brown slightly. 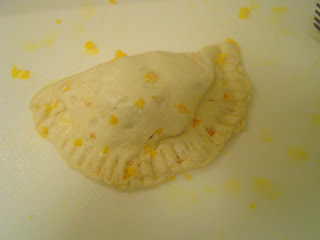 Remove and allow to cool for 5 minutes before serving – the insides will be hot! This was the perfect accompaniment to the fakepanadas! 1. In a bowl combine cilantro and sour cream. Season with salt and pepper to taste. Allow to sit in fridge for 15 minutes prior to serving. Thoughts: The empanadas puff up a lot and make a light and fluffy outside. The meat mixture blended really well together and was perfectly moist from the bean dip and cheese. 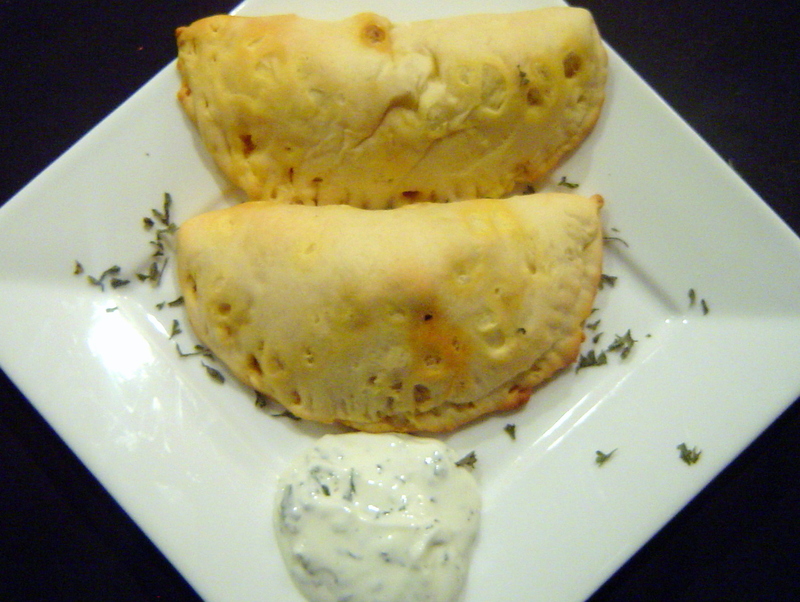 They have a little bit of heat, but aren’t overpowering and the sour cream mixture really pairs nicely. It was slightly disappointing to not have my original idea work, but these would certainly be a crowd pleaser! *I’ve recently fallen in love with using the tube fresh herbs. They are the same prices as store bought, have three times as much, last much longer and still give you a bright, vibrant fresh herb flavor. A great alternative to buying fresh if you can, especially in the winter. i love how pretty this look. thank you for sharing this. happy halloween! Beautifully done...love the step by step pics. You make it look so easy.